Diane Gage is a poet and artist in San Diego residence since the 1970s. Her poems and artwork have appeared in publications from Antenna to Rattapllax to Wind, as well as chapbooks from Fred Moramarco’s Laterthanever Press and the Queen’s X Press. Her first foray into San Diego’s art and poetry community consisted of helping to publish, edit and promote a poetry and graphics journal called Antenna. 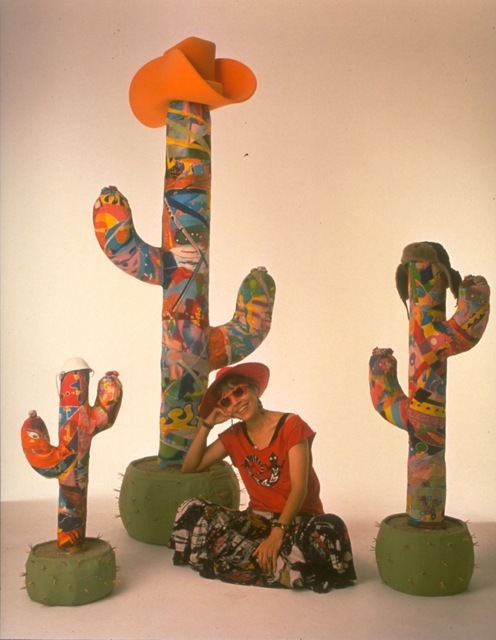 Since then, she has gone on to publish in a variety of publications and to exhibit artwork in the US and beyond, although mostly in San Diego, beginning with a project called Somebody Being Somebody in 1982. As with the Somebody installation, many of Gage’s projects are multimedia, including Mom’s Nuke, Rust Wedding, Crack Gardening, Women at the Edge of Language, Cold Comfort Quilts and The Poetry Oracle. And as with Somebody Being Somebody, created in partnership with photographer Constance Dolgin Rawlins, many of her projects have been collaborative. Some of Gage’s works are personal in nature, while others address community concerns. 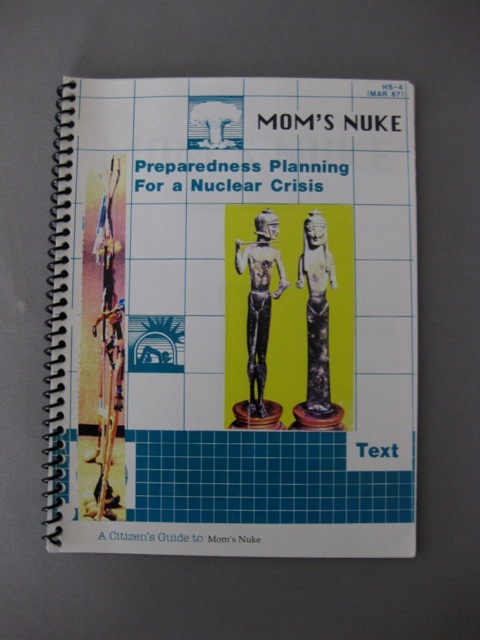 Mom’s Nuke, for example, was her first multi-media work of transformative art, incorporating processes that allowed participants to explore their personal connection to larger issues. In this case those issues included nuclear power, weapons and waste, offering a way to consider through art how participants relate to themselves and others regarding their roles and responsibilities as citizens. It included art-making workshops, ritual, an interactive installation, exhibits and an artist’s book, made with funding assistance from the Barbara Deming Memorial Fund. 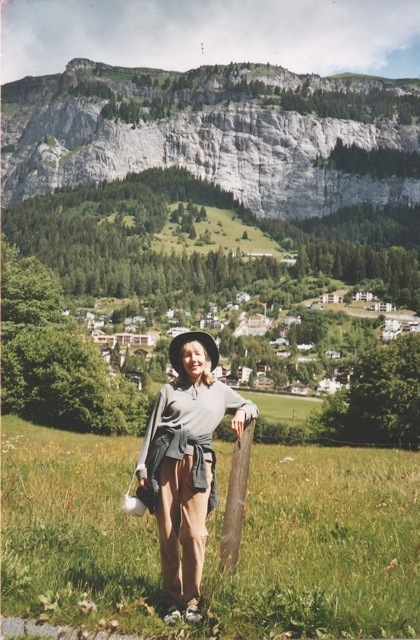 Born in Montana and educated in literature and language in North Carolina and Arizona, she is also a graduate of the Expressive Arts Institute in San Diego and the European Graduate School in Switzerland. As an Expressive Arts Counselor she has worked most often with homeless veterans and teens. As a poet, she has had the privilege and joy of studying poetry with teachers Eloise Klein Healy, Thomas McGrath, Jane Hirshfield, Stephen Dunn and Dorianne Laux, among others. As an artist, she had a long and productive association with an accomplished professional group called California Fibers. As a teacher, she has toiled in the English language vineyards, done what she could to impart poetic knowledge and inspiration, and shared fiber art lore and processes.As a choir alto she has sung many Requiems and, most happily, Carmina Burana, as well as gospel songs at Balboa Park’s Christmas on the Prado and at the Fekete Templom in Brasso, Transylvania, Romania. As a citizen, she holds up her corner of the world as best she can, with special attention to the health and welfare of the commons (air, water, land, plants, animals, etc.) and her own neighborhood. As a Mom, she is over the moon about her offspring.